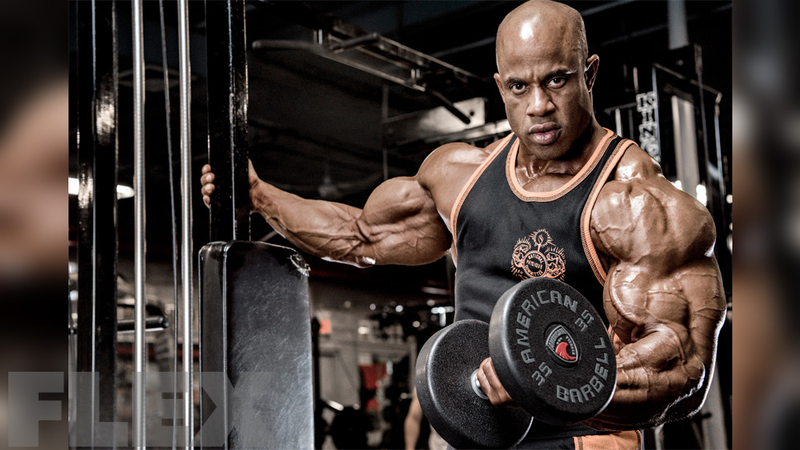 Entering 2008, IFBB Professional Bodybuilder Vic Martinez was perhaps the brightest star in the bodybuilding universe. Sure, Jay Cutler had just defeated him for the 2007 Mr. Olympia title, but the judging decision was questioned by many in the industry, including many in the Cutler Camp. The world watched with excitement as Victor prepared for the 2008 Arnold Schwarzenegger Classic, where he attempted to win again, over Dexter Jackson and a very upstart Phil Heath. The bodybuilding world was a buzz, and everyone expected Victor to deliver one of the greatest bodybuilding packages every seen to the bodybuilding stage in March of 2008. Suddenly, with just a few weeks to go before the show, word broke on the message boards that Victor had severely damaged tendons in his knee, and would be out of bodybuilding competition for over a year. How was this possible? He was a professional at the top of his game. As details of the injury came out, we learned he had injured his knee when training thighs on a Tuesday. His knee hadn’t yet recovered from Sunday’s leg workout, and the injury was incurred. That’s right, you read it correctly. Victor Martinez, recognized worldwide as either the #1 or #2 bodybuilder in the world, was training his legs every 48 hours. Is there a lesson to be learned here? Of course. The legs need 72 to 96 hours of recovery time – at the very least- to ensure the muscles, tendons and joints have fully recovered. Why is this? Let’s look at several factors which may play a role. Delayed onset muscle soreness, or DOMS, is usually felt anywhere from 36 to 48 hours following a workout. The thought of attempting the next leg workout when the body hadn’t even reached peak soreness form the last leg workout, seems baffling. The central nervous system (and immune system) control a great deal of the body’s functions, and keep us healthy at the same time. No growth, recovery, or even life can occur as long as the CNS is repressed in any way. Was Victor’s recovery ability being hampered related to this injury in any way? We do not know. These are the parts of the body which are not affected by the use of anabolic steroids. Even if you use everything under the sun and attain a level of muscle mass and recovery ability that allows you to train legs twice per week using high volume, you still would be unable to condition the joints and tendons for such a workload. As a result, as we saw with Vic Martinez, the tendons give way and injury occurs. The lesson to be learned here, for the average bodybuilder, is that if you’re going to train with serious intensity, you need to rest with serious intensity. Despite all the steroid use, training experience, and confidence in the world, the tendons in the knee are vulnerable to damage and should therefore be trained only every 96 hours, at minimum. This entry was posted in Training and tagged Leg Training. Bookmark the permalink.